Americana can be difficult to find. We’re constantly overwhelmed by a million different issues being thrown in our face. It is easy to become engulfed in the political nonsense, the hate-filled rants, and misleading statistics spewed by the media. This crap isn’t America. America is working hard and being thankful for what we have; and from time-to-time real struggles. If you need help finding Americana, we have a hell of a place to start. 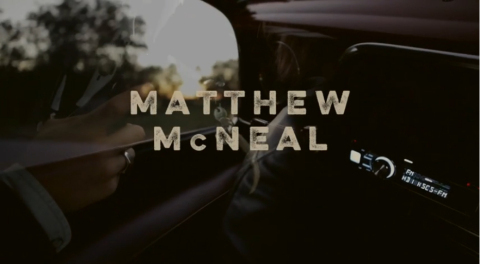 Matthew McNeal’s “Lost & Found” is a gem of Americana in some seriously trying times. The first single off his upcoming debut record (to be released early spring of 2015), McNeal takes what we already knew to be great about the singer/songwriter from Texas and elevates him to a whole new level. The video is simple, but combined with his wise-beyond-his-years writing style, it becomes a captivating look into an intimate struggle; it becomes real. In whole, it is a welcome escape to the fallacies diving opinions and brings us back down to reality. Well done Mr. McNeal, well done. We can’t wait for the debut album. This entry was posted in Singles/Videos and tagged Found, Lost, Matt McNeal, Matthew McNeal, singer, single, songwriter, Texas, video, youtube by Greg. Bookmark the permalink.